Coracko was the name of a German hard rock band founded in 1991, in 1992 their only album, New Virus Spreads, published by Polydor. The group consisted of four musicians; Guitarist Peter Szigeti and bassist Frank Rittel were previously members of Warlock and U.D.O.After the release of their debut album Coracko had to change their name to Stonewashed and later renamed themselves again into Way of Thorns. 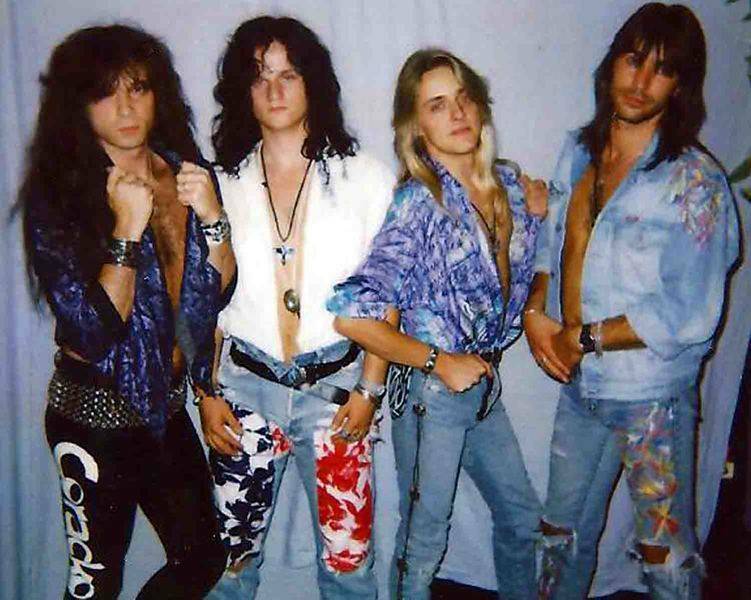 Rittel and Szigeti had been in various bands since 1980, including Snakebite and Beast, which became Warlock in October 1982 through the merger of musicians from both groups. 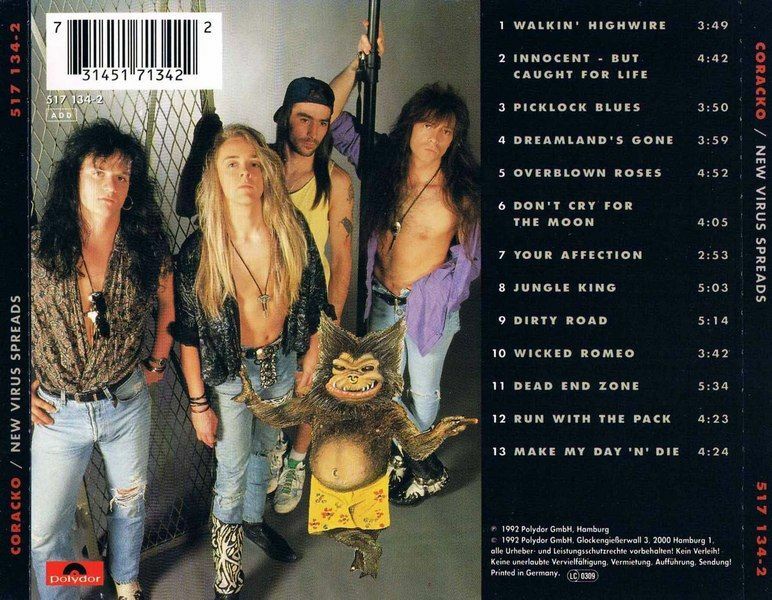 After Doro Pesch left Warlock in 1987 and disbanded, Rittel and Szigeti together with Udo Dirkschneider, Mathias Dieth and Thomas Franke the band UDO, but left this in the same year again and founded Energy.Diese group recorded a demo tape, but had no success and disbanded in 1991. Szigeti then played with Jutta Weinhold in the band Velvet Viper, and during this time he recorded together with Fank Rittel, drummer Martin Engler and singer Dirk Wicke pieces written together. After all the parties had found that they fit together and had common musical interests, they founded Coracko, and Szigeti left Velvet Viper. The band managed to complete a record deal with Polydor, and on March 30, 1992, the group began in the RA. SH sound studios in Gelsenkirchen with the recordings for her debut album, which she also produced herself. 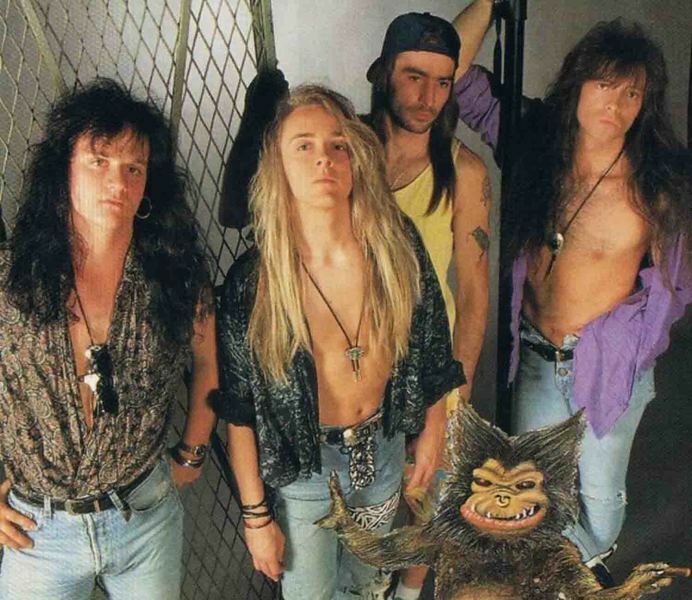 Coracko was known to the trade press as "the harshest representatives of Groove Oriented Metal" and was musically described as "somewhere between the old Van Halen and new bands such as Extreme or Mr. Big." On August 22, 1992, the group presented itself to the public Music Fair Popkomm in Cologne vor.Coracko published on September 28, 1992, the album New Virus Spreads, which contained thirteen titles. The reactions of the trade press were different: The magazine Metal Hammer judged for example about the album, it was the music on the sound carrier to "scary average Metal, and also the following three songs" would "not a new chapter Hard'n'Heavy- History "write. Rock Hard, on the other hand, was more positive and emphasized that the album had a "typically Teutonic touch" rather rare, but New Virus Spreads was a "rather international one Album "containing 13" mostly strong compositions ". The songs were "all not too smoothly produced" and thus "did not miss the necessary hardness". to let. The album lives "to a not to despise part of the very good guitar work and the powerful, multi-faceted vocals." Of course, one or the other failure also represented, but overall New Virus Spreads is an "interesting and unusually violent drone," the earned her eight points (out of a possible 10). As a single, the song Overblown Roses was released as more titles were included on the CD single Run With The Pack and Do not Cry For The Moon. Frank Rittel was released during the course of the Replaced in 1993 by the bassist Alex T. Walker, with him in early summer 1993, the band played a tour in the opening act of the band Sven Gali, in which she also presented new songs. In addition to another line-up change (Dirk Wicke was replaced by Leon Goewie, who had previously sung with the Dutch band Vengeance) it also came to the name change: The band called itself Stonewashed. She published under this name in 1995 the album Way of Thorns. New Virus Spreads is the only music album published in 1992 by the German hard-rock band Coracko.The band, which alongside Dirk Wicke and Martin Engler belonged to the two former Warlock members Peter Szigeti and Frank Rittel, began on March 30, 1992 in the RA.SH recording studios in Gelsenkirchen with the recordings for her debut album, which she also produced herself , On August 22, 1992, the group presented to the audience of the music fair Popkomm in Cologne. The album, which contained thirteen titles, appeared on September 28, 1992, as a single released the group's song Overblown Roses. This band having never had commercial success and consequent media impact, it is good to present it quickly: Coracko is a quartet which was formed at the beginning of the 90's around 2 ex-Warlock (the bassist Frank Rittel and guitarist Peter Szigeti). 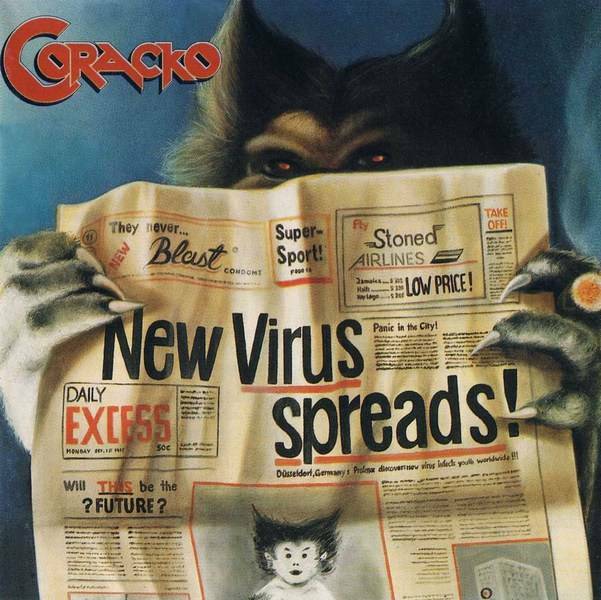 And it is in 1992 that his album "New virus spreads" comes out.Musically speaking, Coracko plays big-rock punchy in the tradition of Van Halen, Dokken, Pink Cream 69, Extreme (the less funky side in the Germans). Thus, we are entitled to playful titles and full of vitality such as "Walkin 'highwire", quite a hit, "Picklock blues" which has an infernal groove and a terribly contagious chorus that makes you want to stomp, the catchy and heady "Dreamland's gone" which has the scale of a hit and on which the guitars express themselves especially on the chorus, "Overblown roses", "Your affection" whose effectiveness is immediate, twirling "Dirty road "and his furiously furious rhythm reminiscent of the best of Van Halen's David Lee Roth period," Run with the pack "and his huge chorus, or the punchy" Make my day n 'die ". It may not be original, but the quality is there and the ingredients are there to convince any self-respecting big-rock fan.The title that seems to stand out from the crowd is "Jungle King", a very rhythmic title with exotic fragrance and original and inspired lyrics. In a different way, the ballad "Do not cry for the moon", dotted with acoustic guitars, is not bad at all and passes like a letter to the post office. "New virus spreads" is finally a good surprise, especially when you know that the group that designed this disc comes from Germany. This kind of production is indeed not commonplace on the side of the Rhine. Coracko has been able to deliver very good songs with a focus on guitars and some riffs are still in the memories. This is the only Coracko album that will be forced to change its name (Stonewashed) and singer.